Badger is so old that he knows he must soon die, so he does his best to prepare his friends. When he finally passes away, they are grief-stricken, but one by one they remember the special things he taught them during his life. By sharing their memories, they realise that although Badger is no longer with them physically, he lives on through his friends. Celebrating the 35th anniversary of this quintessential and multi award-winning picture book about losing a loved one. 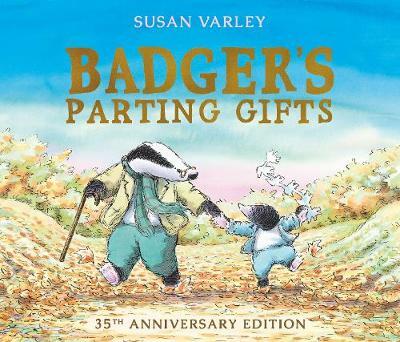 Features a helpful reading guide from Child Bereavement UK that provides tips for reading Badger's Parting Gifts with children and helping them better understand grief. Endorsed by Child Bereavement UK. 'Badger's Parting Gifts provides young children with a means to understand grief' CHILD BEREAVEMENT UK 'The best book for children on this theme.' THE TIMES EDUCATIONAL SUPPLEMENT Winner of the Mother Goose Award 1985.